Through unknown breeding and feeding practices, the kwama miners of Matus-Akin have been developing a new, more aggressive breed of kwama…The Temple wishes to learn more about their breeding methods. 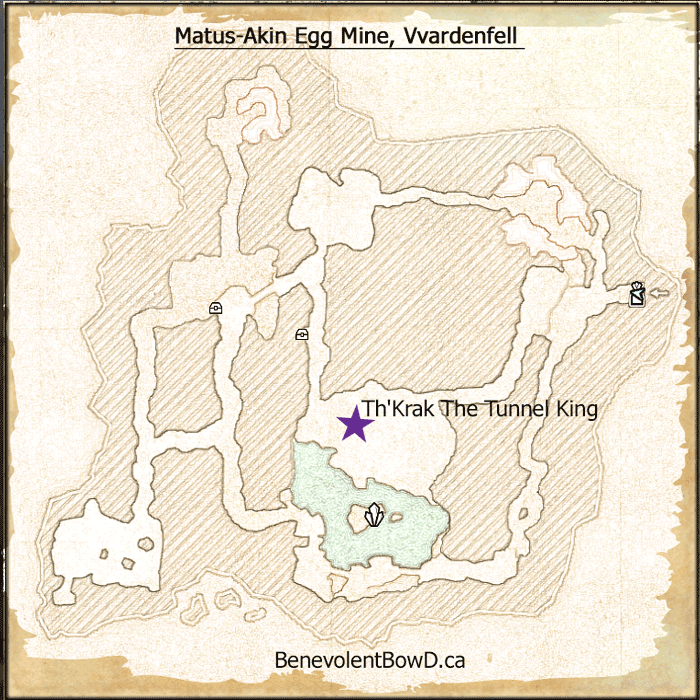 Matus-Akin Egg Mine delve is located in central Eastern Vvardenfell. 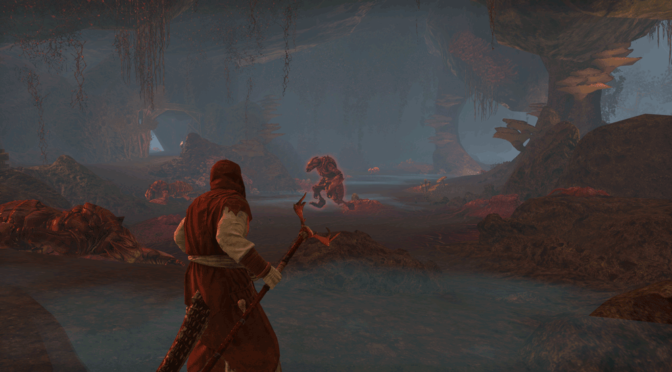 Nearest wayshrine is Molag Mar which is a short distance to the south. It is a mid-size cavern. 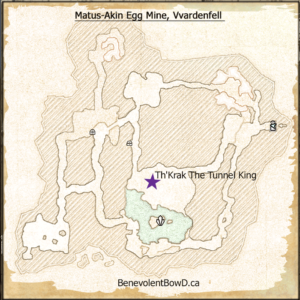 The quick spawns within the delve gives it the potential to be a decent location to farm scrib jelly and provisioning materials. There are at least 2 chests. Mostly white and green quality gear.